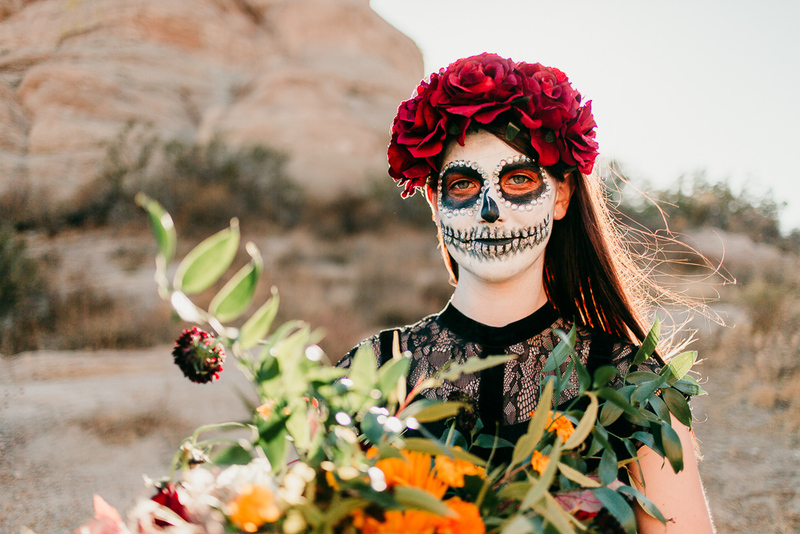 This macabre bridal inspiration session took elements from the Autumn season, Halloween, and the Mexican holiday Dia de los Muertos to create a seasonal off beat bridal look. Jen from Urban Marigold created this amazing fall floral bouquet, Rani from Beauty by Rani did the incredible skull makeup, and our black lace Halloween dress and flower crown are from... Amazon.com :) I'm so grateful to these incredible creative women who helped me to bring this idea to fruition. 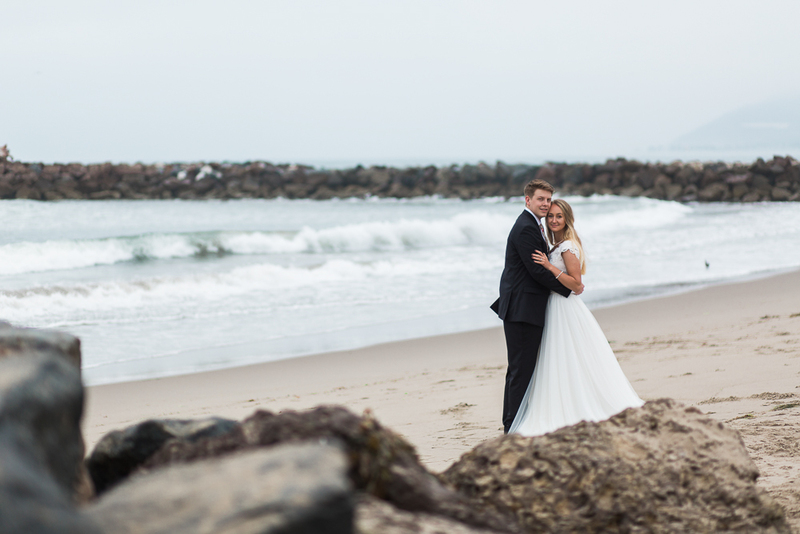 Links below!Florals:..
Before Sam and David were married in the Salt Lake City Temple in August, we took to the beach in Ventura for a pre-wedding bridal session! As I'm sure you're aware, there are no oceans in Utah, so having wedding photos done on the beach was important to Sam, being from Southern California. And of course I'm not one to say no to fun opportunities like this! We had planned a sunrise shoot, but I had completely forgotten about the thick fog layer that Ventura has until the afternoon. 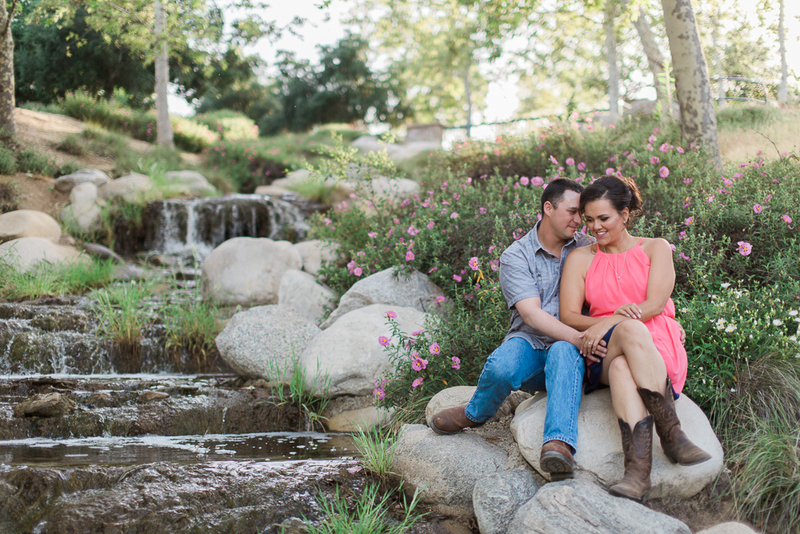 We definitely..
Cameron and Daniel are planning a December wedding at the gorgeous Camarillo Ranch House, and wanted an equally rustic and romantic location for their engagement session. I knew just the place! Corriganville Park on the very edge of Simi Valley is an amazing location that is always different at different times of the year! I did a bridal shoot here back in January (See Here!) so I had an idea of how it would look, but I was SO excited to find these gorgeous red flowers all around when..
What's better than an intimate backyard wedding on a balcony overlooking the beautiful hills and trees of Arroyo Grande, California? NOTHING. Ok, well maybe not nothing but backyard weddings are pretty high up on the best things in life list. Amanda and Anthony chose to be married at Anthony's parent's home in this beautiful town in San Luis Obispo County, California. There was lots of emotion, prayer, and so much love in this sweet ceremony. A local Arroyo Grande bakery made honey la.. Growing up in Simi Valley, I took several field trips trips to the Strathearn Historical Park and Museum nestled in Ventura County. This historical park holds buildings significant to the history of Simi Valley and the surrounding areas- plus it's insanely pretty with tons of awesome photogenic nooks and crannies. This summer wedding was "jammed full" of rustic DIY elements- hand painted signs, insanely cute homemade jam favors, giant outdoor lawn games, and an incredible photobooth setup for fu..
Shelby and Rob's Santa Barbara Courthouse Wedding was a photographer's dream! I love venues that have that perfect mix of gorgeous lush foliage, and also super unique architecture. The Courthouse definitely has both! 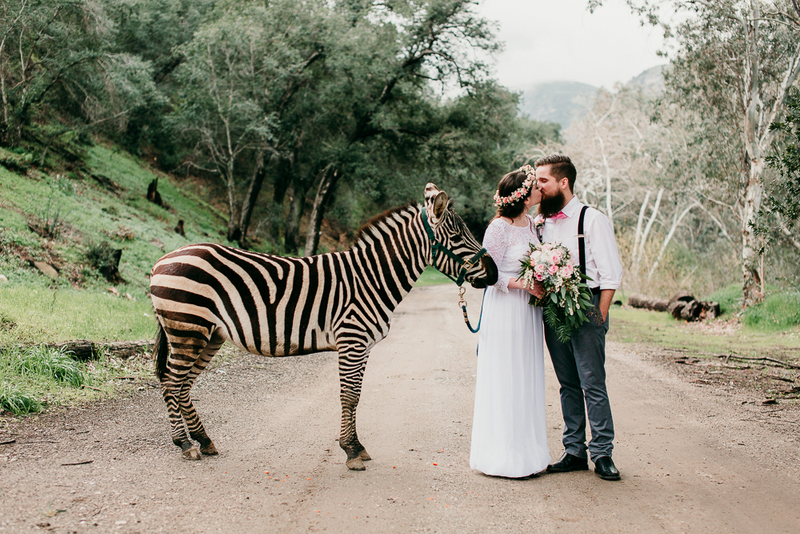 This sweet ceremony took place in the Mural Room, named for the gorgeous colorful murals of California's history. Their ceremony was short and so sweet, followed by a lot of time to explore the Courthouse and grounds and take advantage of it's incredibly unique and very Santa Baraba.. 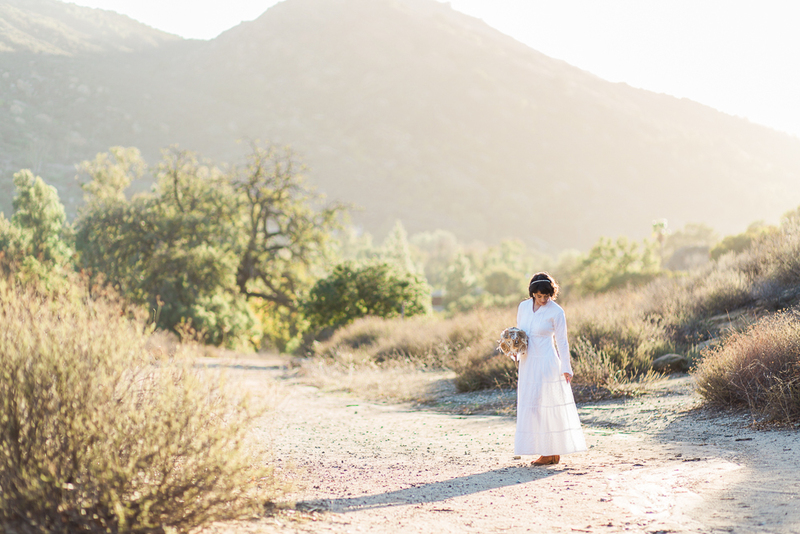 I have a lot to say about this styled elopement shoot at the gorgeous Reptacular Ranch in Los Angeles County, and I'm excited to be blogging it on this Monday afternoon. This shoot was planned and put together entirely by me (wedding planners- I have mad respect for you). It was so exciting to be able to do this in the winter here in CA while we had a lot of rain that made things so green and gorgeous. The only downside was that we had the worst storm in 10 years the day before our shoot was sch..
Elena and Orion chose the Oak Park Community Center and Garden for their Spring engagement session, and I'm so glad that they did! The flowers and gorgeous Spring light really made this location more beautiful than I've ever seen it before. And as far as couples go, Elena and Orion were just as sunny and colorful as the garden we were in. They spent their session laughing, kissing, and teasing each other, and were just a genuinely fun and happy couple to be around. And Orion defi..
Hello! I hope everyone's April is going well- mine is picking up slowly but surely! A couple of weeks ago I had some time to do a personal project that I had been contemplating for awhile. 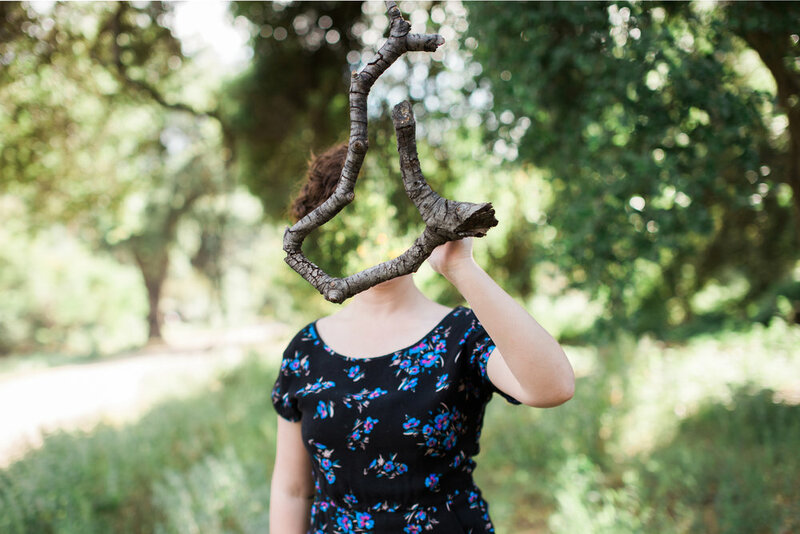 This shoot was based off an image I saw months ago and I loved, and I went into it with only that one idea in mind. While out shooting I had some more ideas, and it was such a beautiful Spring day that I ended up staying out for 3 hours working on these portraits (and then many hours after post processing and .. I'm finally getting around to blogging this session on my own, and honestly I don't know why it took me so long because this was one of my favorite sessions to date. 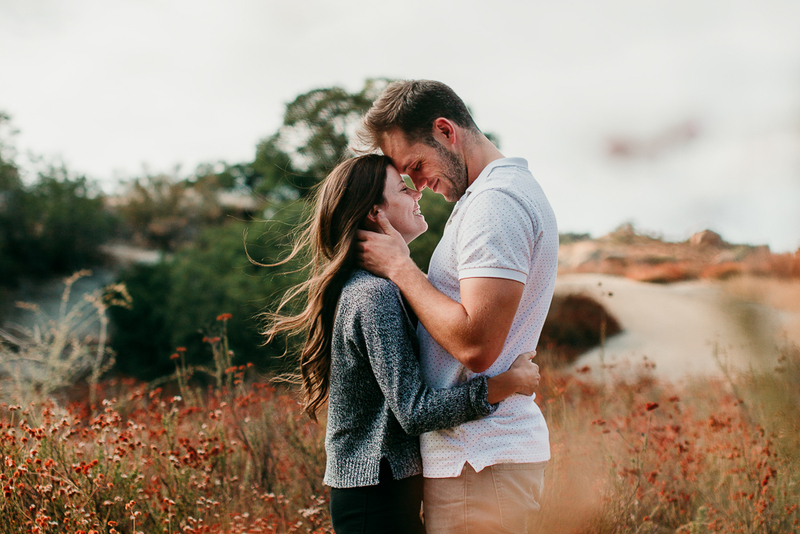 In January part of this session was featured on LDS Bride Blog (A blog specifically showcasing Latter Day Saint/ Mormon weddings). See It Here! Chelsea was married in 2011 in the Los Angeles Temple, and never had time to do a bridal session, so I was happy to do this session for her! We did this session in late December in.. 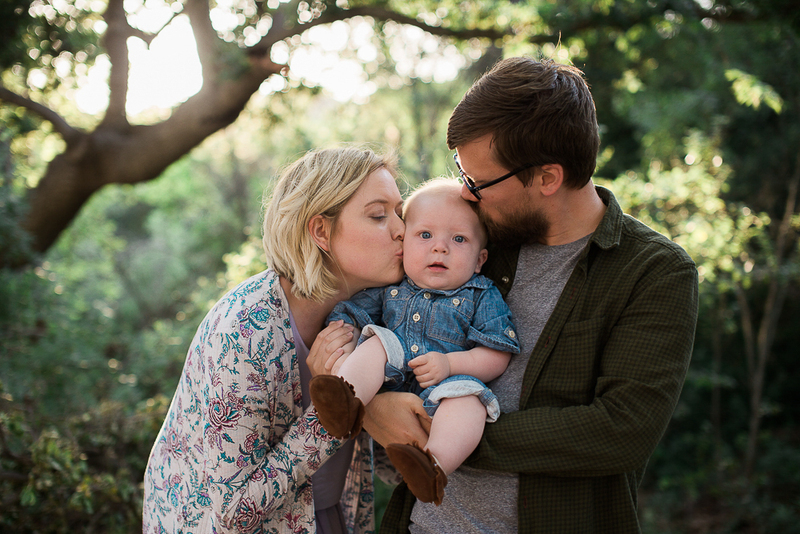 I had the privilege to photograph Tessa and Brian and their little one(s) in Corriganville Regional Park in Simi Valley. We had just had some nice rains the couple of weeks before so everything was still beautiful and green. This family was so fun to work with and their little boy had such a great personality! I love being able to photograph families in love! "A plane!".. These two chose such a fun and unique spot to take their engagement photos! 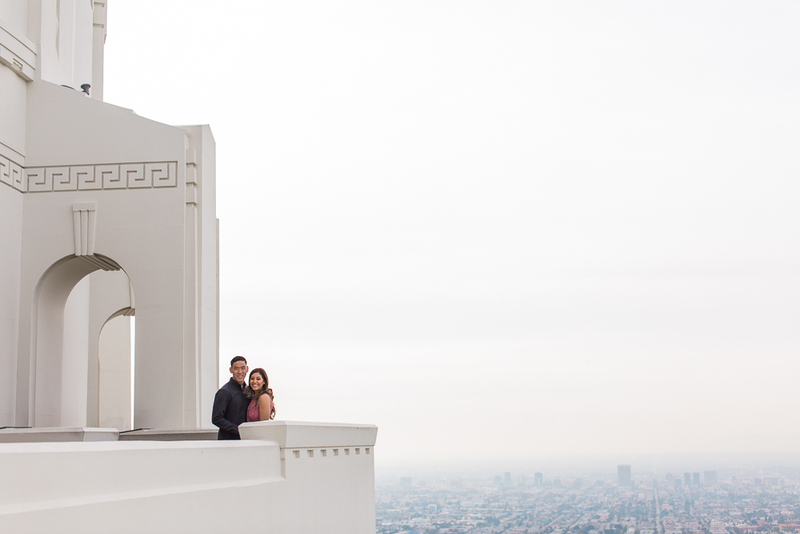 The Griffith Observatory in Griffith Park Los Angeles is such an iconic place, and the architecture and views of Downtown Los Angeles made for some super fun photographic opportunities! These two were so fun to be with and weren't afraid to show off their love in front of some crowds visiting the Observatory. I'm so excited to shoot their wedding in a few months! 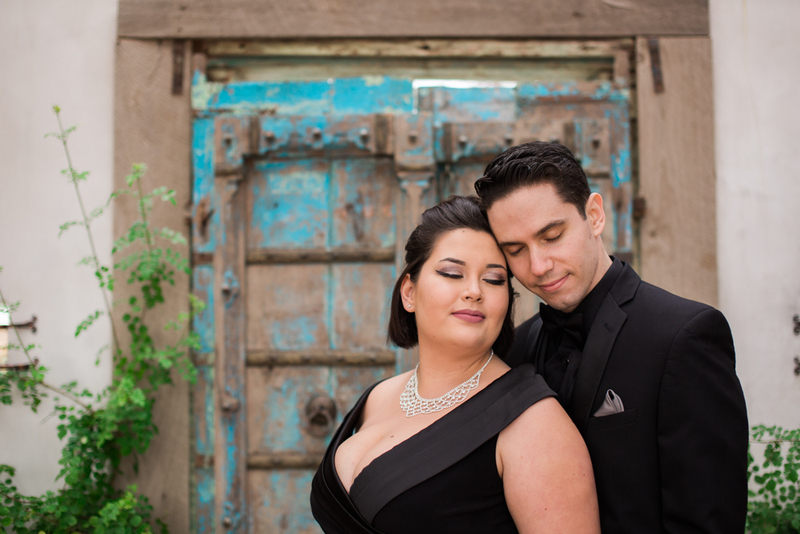 Enjoy these photos of Christina and David!.. 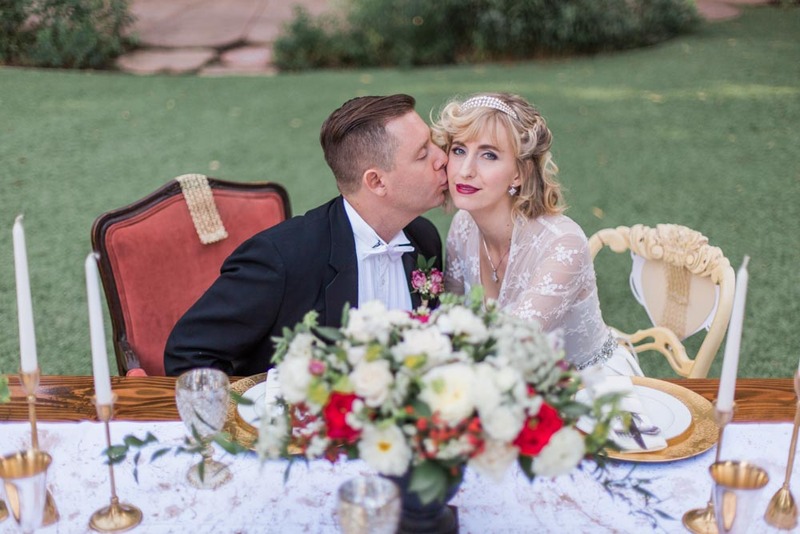 This Alice in Wonderland inspired Romantic Tea Party styled shoot took place in Somis, CA at the beautiful Hartley Botanica Gardens and Nursery. This was a coming together of many wedding professionals in Ventura County, CA. The couple is a real couple who met through a shared love of swing dancing. We wanted to incorporate both the "tea party" theme of the bride wearing a tea length dress and quaint tablescapes, as well as the Alice in Wonderland "Queen of Hearts" theme- with her tiara a..
Chloe and Eric attended a black tie wedding as guests, and decided to do a session beforehand to show off their fancy duds. (Duds is a word I use apparently). The gorgeous Westlake Village Inn was the perfect backdrop for their portraits, with it's beautiful colors and architecture. ..